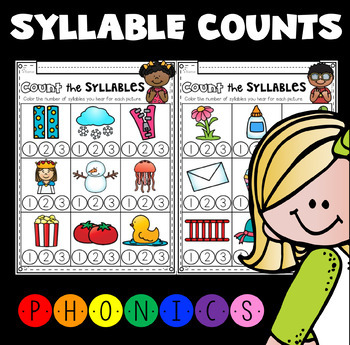 Phonics Introductory Ultimate Bundle! 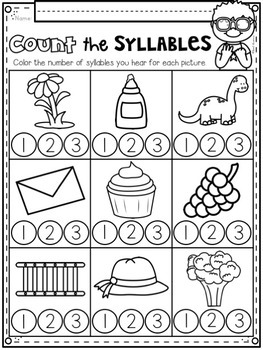 Syllables! Rhyming! Letter Sounds! 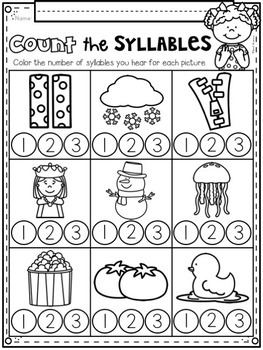 For this activity, students are asked to identify the number of syllables for each picture by circling the number to match the picture. 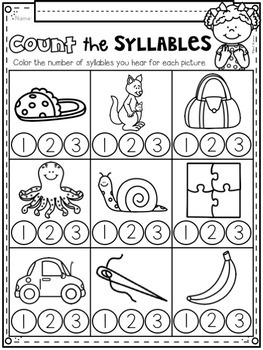 These printables are perfect for your literacy stations, homework or review work.